Welcome to the amazing world of financial modelling! This is the first episode of a special two-part series with Michael Hutchens of Modano. Michael is an ex-investment banker, professional financial modeller, software-developing CEO. Learn about his software and the nuances of financial modelling in sales and acquisitions transactions. 14:02 A case study – how can we get started? Joanna: Hi, Its Joanna Oakey here, welcome back to The Deal Room Podcast. Today we have a special 2 part series, about the amazing world of financial modelling! 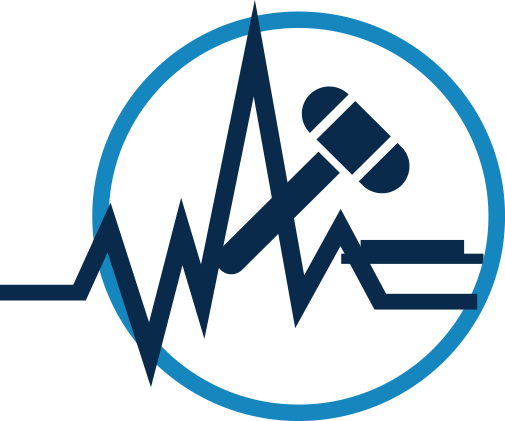 In these 2 episodes, we have brought in Michael Hutchens from the software company Modano. 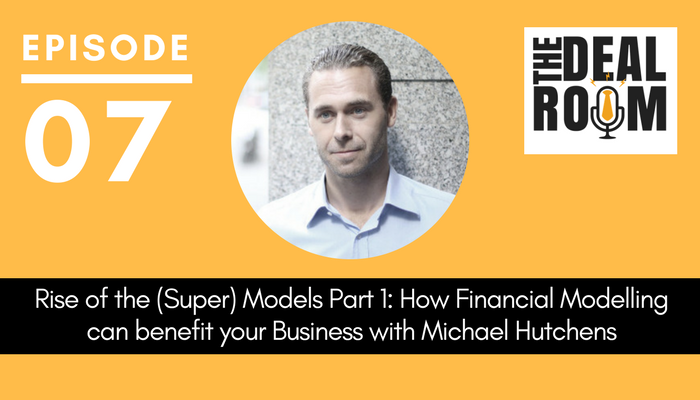 Michael is an ex-investment banker, professional financial modeller, software-developing CEO, and in the next 2 episodes discusses Modano’s software and the nuances of financial modelling in sales and acquisitions transactions. If you aren’t much into figures, perhaps this topic may not sound highly exciting – but I promise you that if you are involved at all with strategic company decisions, or you are an accountant or other business advisor, you are in for a really interesting next 2 episodes. I love talking with Michael. He is a ball of energy. He certainly makes the topic of financial modelling extremely interesting. In these next 2 episodes he shares some great insights into ways to get far deeper insights into a company’s financials – and how to use financials to help plan for the future and to make proper decisions for the future. In part 1 of this 2 part series, we start with the fundamentals, looking at what financial modelling is, why it is important, and where the real value lies. We discuss how financial modelling can provide the opportunity to take an understanding of your business to a whole new level – and give you the ability to look into the future and test ideas you might have about how to grow the business. In part 2 We discuss how financial modelling can help you test the true likely impact of a merger or acquisition, and give you the ability to anticipate various scenarios. But in this part 1 we discuss the underlying elements, and how financial modelling can be used to give you your best and worst case scenario at any point in time. We discuss how it can be used to provide clear metrics and drivers about how you need to run your business. And we also look at ways to use financial modelling to make your staff more accountable. The topics we discuss in part 1 of this series are extremely relevant to any business that is looking to grow, and to understand how they can get deep insight into the impact of pulling various different levers in their business. It is also essential listening in for accountants as Michael shares many insights into the opportunities for them to add incredible value and extra income streams to their practice. We discuss the many challenges facing accounting practices, and the reason holding many accounting practices back from jumping on to these new opportunities. Hi Michael, thanks so much for coming on to the show today to talk about your software and the nuances of financial modelling in sales and acquisitions transactions. Welcome! Michael: Thank you. It’s a pleasure. Joanna: Could you perhaps start off by giving a bit of a background of who you are and perhaps of Modano as well? Michael: Yeah. I suppose my history is quite unique in that I started off as an investment banker, which is where I think most people try to end up. I started off as a banker and decided I’d leave and try and improve financial modelling. So I was working on M&A transactions in the utility sector, mainly doing energy, basically electricity and gas regulated asset modelling. My mother was a professor of mathematics at Melbourne University and I always loved numbers. I thought it would be done incredibly well in investment banking but it was actually done pretty haphazardly. So I thought I’d take a year off banking and see if I could fix modelling and one of my clients offered me quite a lot of money to do that for a year. I thought “Well, I’m 25. I would probably come back to banking and do an MBA.” And that was 15 years ago. So I started a consulting company after a lot of other clients wanted models built. Ultimately, after four or five years of that, in about 2005-2006 i started realising that there was an opportunity to create software to improve the way models were built. For the last decade I’ve been focusing on building financial modelling software so that more people can more efficiently and more effectively build financial models the way investment banks do. So now I’m effectively an ex-investment banker, professional financial modeller, software-developing CEO. I’m a bit of a weird mixture. Joanna: That’s a great combination. Michael: Yeah. People love models. It’s just that most people don’t know how to build them. But everyone wants a model and everyone wants to learn how to create models. It’s a really interesting space to be in because there just hasn’t been the same type of evolution in other areas of technology. There’s this huge opportunity obviously, which we’ve spoken about previously. Joanna: Yeah. Let’s start at the basics. Why is financial modelling important? And particularly, we’re talking today particularly about the sales and acquisition space. Why is financial modelling important in this space, both for buyers and for sellers? Michael: Yeah. I think financial modelling is a really interesting area because it’s forward-looking. If you look at particularly the accounting space, it’s always been about (predominantly) compliance and backwards-looking. So how did you go last year? Maybe one or two quarters out. How is your next best payment looking? But they really don’t look at the future in terms of what happens if we borrow some money or what happens if we acquire another business and we actually go big with this business. So I think financial modelling goes to the core of the exciting part of business, which is the future and what you can achieve. And I think it also is exciting because it brings together lots of different skills. You can be a tax accountant. You could be a valuation specialist in a specific sector but you still don’t really understand a lot about the different parts of the business tax valuation accounting. So financial modelling is a really interesting area because it requires you to have a really strong understanding of how businesses work and effectively how they would change if you make different decisions. It is very much decision-based, cause and effect analysis and that means you’re really strategic focused. Financial modelling area is one where accounting firms in particular haven’t done as much as they could because they’ve always been focused on what’s happening today and what’s happening with your reporting whereas financial modelling looks at what could you do tomorrow. Probably the most exposure I ever had to financial modelling when I was younger was working alongside companies like Macquarie Bank. The first thing I noticed coming out of university was that Macquarie Bank literally obsessed over building high quality financial models. They did that because they realised it gave them the most clarity and understanding of their clients’ businesses. Contrast that with accounting firms that I’ve worked with since leaving banking. A lot of them don’t go to that level of detail and they don’t have a strong understanding of the way their businesses work. So financial modelling really takes things to a whole other level in terms of the depth of the understanding of businesses. And that’s why it’s becoming such a powerful thing and I think a real focus for a lot of businesses and advisers. Joanna: And it’s interesting because what you’re essentially saying is that this is something that can be a fundamental value-add. I hear accountants talking all the time, and I talk with them all the time about the issues in having a practice built around mainly compliance, often looking for ways that they can value-add particularly given issues with technology these days impacting the way accounting practices will look into the future (into the short term future really). I guess you’re talking here about true ways of value-adding. Michael: It’s an extraordinary dynamic at the moment because and it’s one based more on the past than the future and accounting firms very much consider themselves, on a core level, compliance officers. They consider their core responsibilities to make sure their firms and their advisers, their corporate clients meet their obligations to the Tax Office (predominately) and also to the shareholders in reporting. The funniest thing I found about that is that they don’t realise the position they’re in. Accountants are effectively at the foundation of the company’s numbers. Yet a lot of them haven’t taken that to the next level, which is advisory. Obviously, there are conflicts there and that’s where a lot of my conversations with accounting firms revolve around. They talk about “If we’re doing insurance, can we then do advisory?” But there are different levels of advisory. When you’re talking mergers and acquisitions for example there can be conflicts particularly with the success fees. But there’s a lot of analysis that companies need on a day by day basis that is quite strategic to help them run their businesses that isn’t transaction focused and doesn’t involve conflicts of interest. A great example of that is helping a company understand what its balance sheet and cash position will look like in three, six, twelve, twenty-four months based on a set of assumptions about how they’re going to run their business and the decisions they are going to make. That’s where I think there is a huge opportunity for the accounting firms because they’ve already got the historical data. They’ve already got the relationship. They’ve already got a pretty good understanding of the business. They just need to make it more forward-looking. It’s funny because you’ve got two extremes. You’ve got accounting firms on one end that are just doing tax and compliance. It’s lower margin and it’s relatively boring for a lot of them. A lot of them want to be more a part of the company’s strategy. At the other end, you’ve got a whole range of different advisors from the Macquarie Bank – extremely expensive, extremely sophisticated advisors – right through to effectively a lot of bedroom advice. There are a lot of investment bankers out there that are charging ten, twenty, thirty thousand dollars to help companies raise money and all sorts of transactions because they’re able to do the financial modelling component. We’re seeing a really strange, abnormal market right now where you’ve got all these opportunities to help companies because they just don’t have an opportunity to get it from their accountants. I naively thought I could walk out of investment banking, empower accountants and turn them into strategic advisers. But there’s a lot deeper emotional discussions that need to take place there because a lot of accountants never really thought about working with their clients in that way. That’s why it’s so interesting speaking with you over the last year. You work with a lot of accountants and just learning about their mentality and how many of them want to change this dynamic because there’s so many opportunities there. Joanna: I think there’s a lot of talk about the desire to look at these opportunities and to look at their clients businesses. As I said before, in ways that they can value-add more. But I think when it comes to the nuts and bolts of this area, sometimes maybe it just becomes too complex. Accountants are busy. They’re involved in practices that have so many things that they’re doing on a daily basis. And so perhaps sometimes it’s the complexity that is a greater concern for them. Perhaps for them, the opportunity doesn’t look as real and ready as the complexity that they feel would get them to that point. What messages might you have for accountants grappling with these sorts of considerations and decisions and issues right at the moment? Michael: What you just alluded to there is the absolute core of the issue with accountants. It’s not simple stuff, financial modelling. And we take for granted coming out of investment banking that it’s a skill that evolves over time. You can tell someone who’s been modelling for six months versus one month. It’s not something you can teach somebody in a week and not everyone has the same skill set. It’s not as black and white. It requires a lot of initiative and a lot of thought. So different people are differently suited to modelling. We’ve hired a lot of people to work in our consulting team over the last 10 or 20 years. And some people just haven’t been able to do it very well because they just don’t think the way you need to think as a modeller. So it’s certainly not the easiest skill to pick up. And I think for accounting firms it is, as you’re saying, a big investment in a bit of an unknown. We’ve spoken to some really small accounting firms and they’ve just been unable to convince their clients to invest in realistically building a good financial model. You might need to spend, even for a small business, five or ten thousand dollars in time. You’re looking at 20, 30, 40 hours of analysing the business, looking at the drivers of the business and then working out how to represent that effectively in a spreadsheet. A lot of smaller businesses don’t have the budget for that and probably don’t have the sophistication for it. You need to work out which clients it’s most suited to. When you’ve done that, you don’t need to actually commit to having somebody up-skill. We released our first financial modelling software about 10 years ago and it really was a coal product used by our first client, Goldman Sachs, because they just got it straight away. But then we sort of naively went out to small accounting firms and said “Hey, you can do what Goldman Sachs is doing.” And the accountants turned around and said “Wow, we don’t understand anything about what you’re talking about.” We realised that there’s fundamental differences of thought as to how you analyse a business using a financial model and debits and credits and general ledgers. What is simple to somebody who’s been financial modelling for six, twelve, twenty-four months or ten years is a completely different mindset to somebody who’s been doing tax compliance. We’ve spent the last two years building, effectively gamifying training courses on our website because we’re trying to make it exciting for accountants. And we have these extraordinary conversations. When I was in investment banking, it took me six months of late nights to get my head around the first model I built which was of a natural gas pipeline (which doesn’t sound exciting but it’s pretty interesting modelling because a lot of these pipelines are regulated and they play these games with the regulators to see if they can get their prices and their volumes up because that determines their pricing patterns and stuff). It’s really interesting stuff if you love analysing businesses. But when you turn around and take a look at teaching that skill to an accountant, you really need to start from scratch and say “Where do we even start building them all?” And building a financial model, if you’re forecasting a company’s performance, you start off with their opening balance sheets and then you have to say “OK, let’s forecast each part of the business.” And you need to know how they inter-react. So you need to look at its revenues and expenses and then you’ve got to work down through its working capital, work down through its asset base and depreciation and then look at its capital structure and tax, whether it’s got GST consequences involved, whether you’re going to bottom model those. A case study – how can we get started? So we effectively partnered with this firm. It was a mandate for about a twenty thousand dollar model build and they outsourced about five thousand dollars of fees of our consulting business. We effectively handheld this guy through his first build. The second project he used about three thousand dollars’ worth of handholding and a third project use one. And for the last six months, he hasn’t used us at all. He’s been doing ten, twenty, thirty thousand dollar mandates for his firm. This is an analyst who’s on a salary of probably $60,000 or $70,000 a year who’s probably going to bring in between $150,000 and $200,000 worth of modelling fees this year for his firm and creating whole new relationships with those clients. Our ambition with that firm was to have all the staff train up on modelling so they could proactively push it. But at the moment they’re doing what a lot of accounting firms are doing. They’ve got a modelling guy and he does their modelling for all their clients. Joanna: That’s the way in isn’t it? That’s the start. >Michael: Yeah, find the go-getter. Find the go-getter guy who actually wants to spend his Sunday learning a new skill. And it’s not an easy thing to sell because if you just look on LinkedIn for two minutes there’s so many people looking for financial models to help in their businesses. And I’ll be the first to say that my consulting firm charges a lot of money for it. For a secondment to a large company like Origin Energy, we might charge one and a half to three thousand dollars a day depending on how complex the model is. So the big end of town pays a lot of money for this but the thing is the small end of town still has a budget for this. What a lot of small businesses are doing is they’re hiring effectively grey haired CFOs that have great experience in their sector. But they don’t have a lot of experience in financial modelling. So you’ve got a part time CFO who you’re paying say forty, sixty grand a year to come in one or two days a week and help run your business. But he’s unable to give you a tool that you can use when he’s not there to run scenarios. There’s opportunity for accounting firms to provide that service as effectively a non-transaction specific advisory ongoing relationship. Joanna: Yeah. To really hone in on the client that potentially can drive the most value in their own practice. They’ve got the client base. They’ve got the clients. It’s just about adding these services on to drive greater value but also to uplift that fee component in relation to these particular clients who otherwise might be elsewhere. But with the accounting firms, they’ve already got their relationship of trust. The accounting firm has seen all the numbers. They probably worked with them for five years. So if the accounting firm can demonstrate that they’ve got the skill to build a model, which you can do pretty easily once you know how to model, it’s a very easy next step. That’s why we’re trying to work with accounting firms rather than trying to compete with them because we think they’ve got a much quicker path to adoption than we have trying to convince guys to trust us without an existing relationship. Joanna: So I guess for accountants then it’s wrapping their heads around it. Because I can almost feel some of the reactions of our listeners. “Oh that sounds like a lot of time and effort!” But when you talk about this example that you have of the employees. It doesn’t have to be the partner or the owners who are dealing with it. They may choose, as you say, a young go-getter. In this example you had one employee who threw themselves into a weekend of training then came back and was able to dive in to see a production income right from the get go and now has built up a 150 to 200 thousand dollar pool of potential revenue that relate to this modelling. Right? So there’s the opportunity. Michael: And what’s amazing is that this is happening even though these firms aren’t pushing it really hard. I’ll give you a great example. I’m trying to avoid naming our clients because I don’t know whether they will love or hate it. But we’ve got a longstanding user out in Auckland, New Zealand. It’s actually part of a big firm globally, but they’re a small firm that weren’t doing a lot of modelling. So they’re just effectively a small satellite part of that business globally. And those guys decided that “Hey, we’ve got a whole lot of high net worth individual clients. A lot of these guys are CFOs and CEOs of companies that they own. Yet all we’re doing is their personal tax.” So they started saying “How can we get involved in their companies?” And they were obviously doing some of their corporate tax as well. These are companies that turn over. I’m surprised how many companies in New Zealand turn over 10, 20, 30, 40 million dollars and a lot of them are privately held companies. A lot of them don’t have a proper budget and planning process. They’ve got something like xero going and they might have some basic add ons to Xero. A lot of the add ons to Xero are really handy but they’re not really the same quality you get from an investment banking financial model. They don’t give you a proper balance sheet, cashflow, and an income statement forecast. They’re getting closer, but they’re still a while away because it’s complicated stuff and it’s different for every business. So this firm went out to their clients and they started to listen. Firstly, they trained up on our system and they invested a lot of time in that. They invested two or three of their guys over the period of about two or three weeks intensively working with us. We wanted to do this as a test case for ourselves as well. And then what they did is they ran info sessions for all of their clients. They rang all their clients and said “Hey, we’re willing to start providing financial modelling services. It’s basically what-if analysis for your business and it is pretty cool stuff.” They shot them over examples of generic models and even those they impress most people because most people haven’t seen high quality models unless you have been working with a big four investment bank. And it’s funny because the end product becomes almost like a web development business. But instead of developing and maintaining a website for a client, you’re maintaining the tool that they use to run their business. So what that company has now been doing out in New Zealand for the last three years is maintaining what we call rolling integrated three-way model. Models that roll each month, import their Xero quick books and mild data and effectively integrate them. They contain full income statement, balance sheet, and cashflow. And they contain a whole range of forecasts assumptions. They can do budget to actual versus forecast, do a re-forecasting and at any point in time you can track your progress against how you thought you would go and then re-evaluate how you think you’re going to go in the future. This real clarity of your business and the ability to make decisions in much faster. Joanna: Yeah. And I was going to say let’s talk about the real benefits to the end client, the end user here of having proper financial modelling in place. I guess it’s as you said just then. It gives clarity. But what else does it give? What are the real benefits? Financial modelling is a skill, in that you need to make it valuable for the client. One of the risks that people get into when they start doing it is they make things way too complicated. But if you get it right it’s incredibly powerful stuff. It gives you not so much an answer but an understanding of your best and worst case scenario at any point in time. I’ll give an example of our consulting business. Our consulting business has anywhere between 10 and 15 staff depending on how busy we are, whether we’re using contractors. And we basically have a model that shows, for each staff member and each project, how many hours they’re looking at charging over the next three to six months. Then we have a pipeline assumption about how many new clients we’re going to pick up, what spend they will incur and what the probability is that they will actually follow through with the project. We realised early on that we put in a whole lot of projects and we said “Listen. This client will almost certainly spend $ 50,000 over the next six months.” Then we realise in actual fact, quite often, a GFC would happen and people go out of projects. So we started making our pipeline probability weighted. We now have a probability weighted pipeline for new projects and existing projects. We put about an 80 percent probability of completion on them. We have what we call a probability weighted projection which we use as the basis for forecasting just our balance sheet and cash flow. But then we have an upside scenario which is if no projects drop off at all and we have a downside scenario where every client runs the hills. We’re able to look at how long we’ll be able to survive on a cashflow basis in each instance. That has given us a whole bunch of ratios that show us exactly what our financial likelihood is based on our future likely performance. What that enables us to do is gauge whether we need to hire or potentially let go of staff because we’ve now got to the point we have metrics where we can say we know for a fact that we have less than 60 percent utilisation on average of our staff across the board for three months we are going to burn our cash. That either means we need to increase sales or potentially let go of staff. So you end up having really clear metrics and drivers about how you need to run your business. And it also means you can hold your staff and yourself accountable. The biggest problem with a lot of smaller businesses that makes them struggle to grow beyond that owner-operator stage is that the owner has got it all in his head. As they hire staff and grow, they don’t have accountability. They don’t have proper budgeting and planning and they lose an understanding of the business or the understanding is trapped within the head of the owner who is often the busiest guy in the company. So financial modelling goes to the core of successful businesses. With our big clients like Origin Energy. They do some incredible stuff. If you look at Origin Energy’s annual report, they have a section there (that is one of the coolest things I’ve seen!) which says what we said we’d do for the last quarter of last year, what we did, and why we did or didn’t hit or miss. So you can actually look at that annual report. Then they basically map out their roadmap so clearly at each step of the way. They assess whether they achieved their goals and if they did or didn’t, why that was the case. When you look at the most successful businesses in the world, they’ve done that from a very early stage in their growth cycle. Whether it’s something like JB Hi-Fi. We worked with JB Hi-Fi for years and they’re huge. They looked at, for example, where to open new stores geographically, what times of the year people were buying different products. And it’s the same with something like a Grill’d. We worked with Grill’d over the years. And Grill’d basically looked at which stores at which times of the week, at which times of the year sold different products and services and use that to gauge which staff you need to have on at different times of the week to maximise profitability. 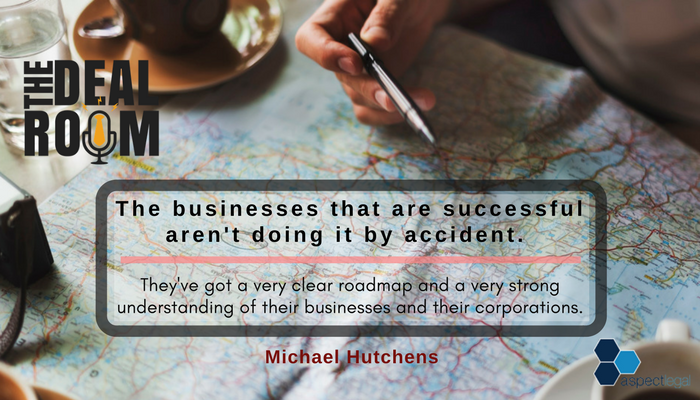 The businesses that are successful aren’t doing it by accident. They’re they’ve got a very clear roadmap and a very strong understanding of their businesses and their corporations. And this is something which I think accountants assume that you have to be a Wall Street investment banker to do this stuff. But the vast majority of strategic advisory is just core understanding of the business. So working capital, assets tax position, cash flows, profitability and those are things which should be done on a real time basis. That’s really where the accountants can have value. Joanna: Well that’s it for part 1 of our 2 part series into the wonderful work of financial modelling. 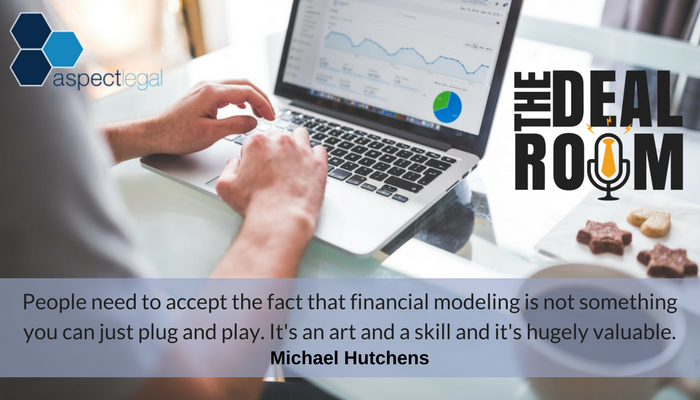 As a quick recap, in this episode we heard from the wonderful Michael Hutchens from Modano, about how financial modelling is future looking, as opposed to many methods of looking at a business that are backwards looking. We discussed the opportunity for business owners and accountants to use financial modelling to look at the future and anticipate what might happen if you acquire another business, or if you make certain changes to the business. It is essentially a way to road test the viability of ideas before you commit to them. So hopefully you found this background to financial modelling concepts interesting. Stay tuned for part 2 in this 2 part series, where we talk in far more detail about the ways in which financial modelling helps businesses plan for the future. The benefit of proper financial modelling in an M&A environment. How modelling can help identify when acquisitions might be a good strategy for growth – and how they can provide a good way to test the impact of a merger or acquisition. And on the flip side why, and how, businesses can get themselves in a transaction ready state. But until then If you would like more information about this topic, head over to our website at thedealroompodcast.com where you will be able to download a transcript of this podcast episode, if you want to read it in more detail. You will find details there of how to contact Michael at Modano. There you will also find details of how to contact our lawyers at Aspect Legal if you, or your clients, would like to discuss any legal aspects of sales or acquisitions.We have a number of great services that help businesses both prepare for a sale or acquisition – to help them prepare in advance, and to get transaction ready. We also have a range of services to help guide businesses through the sale and acquisitions process. We work with clients both big and small, and have different types of services depending on size and complexity – so don’t hesitate to book an appointment if you want to find out how we might be able to assist. Thanks again for listening in – You have been listening to the Joanna Oakey on the Deal Room Podcast. See you next time!